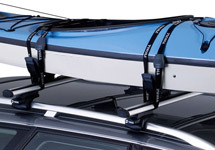 The Thule Portage carrier is a set of 4 padded load stops designed to securely carry your canoe on your roof rack. 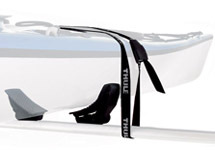 The load stops can be easily adjusted to fit the width of your canoe and eliminate any sideways movement. 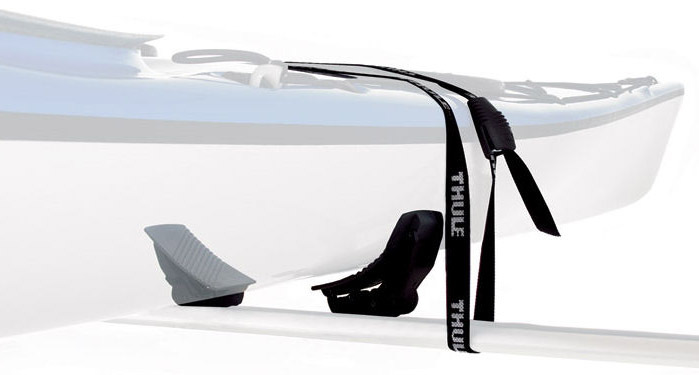 1 pair of Thule straps are included to secure your canoe or kayak to your roof rack and have a soft buckle protector to prevent scratches. 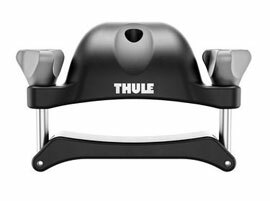 Universal FlipFit bracket fi ts all Thule Rack Systems and most roof racks in the market. Cushioned weather-resistant base padding protects board during transit. 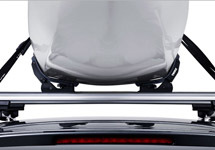 Strong, durable load straps with buckle bumper protect car and board from scratches. The rubber support pads protect the hull of the kayak from scratches and damage when transporting the boat. The rubber pads flex in order to mould to fit the hull of the boat for the most secure position whilst travelling. 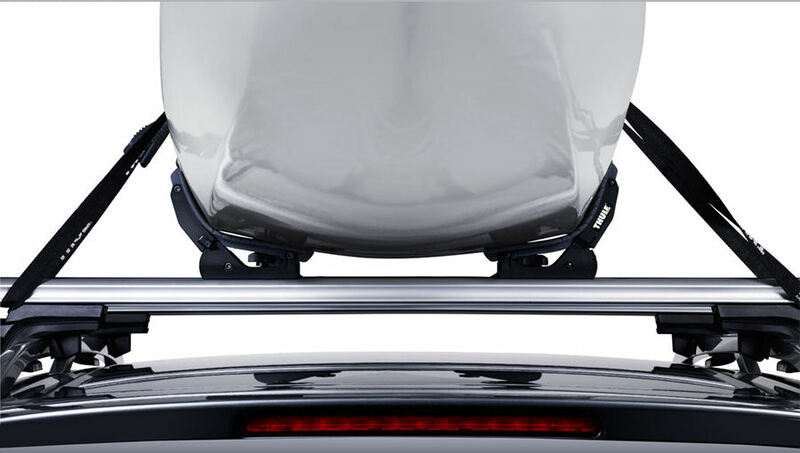 The 874 Kayak Carrier makes loading boats simple as it eliminates the hassle of turning the boat upside down.